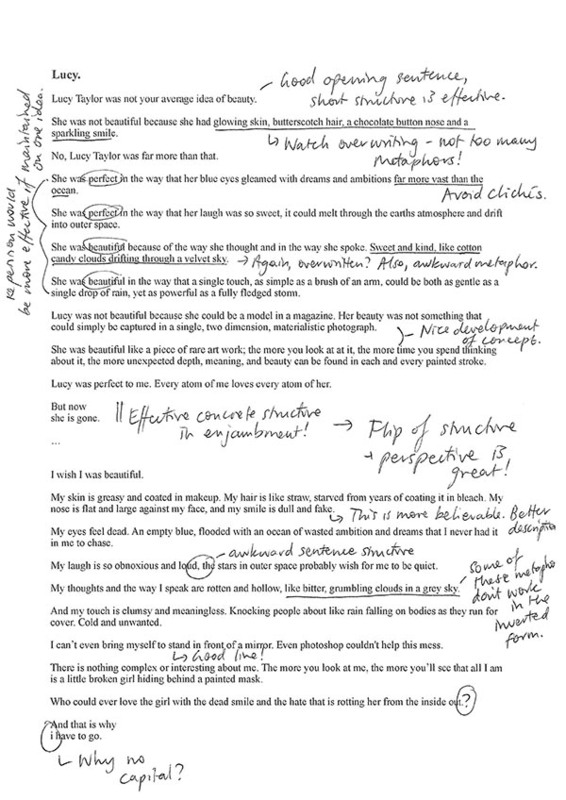 Below is an example of how to edit a creative writing assessment. Great for teachers, great for sharing with students to demonstrate the editing process. Download the printable PDF version here.